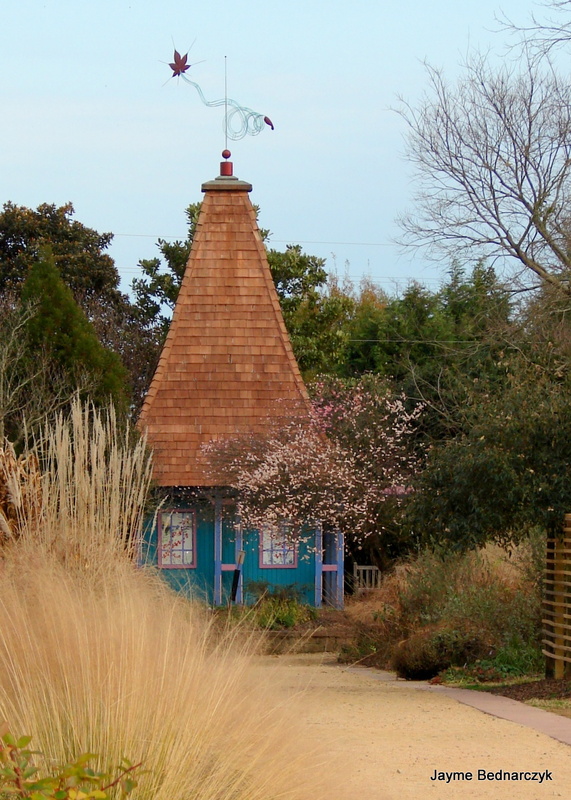 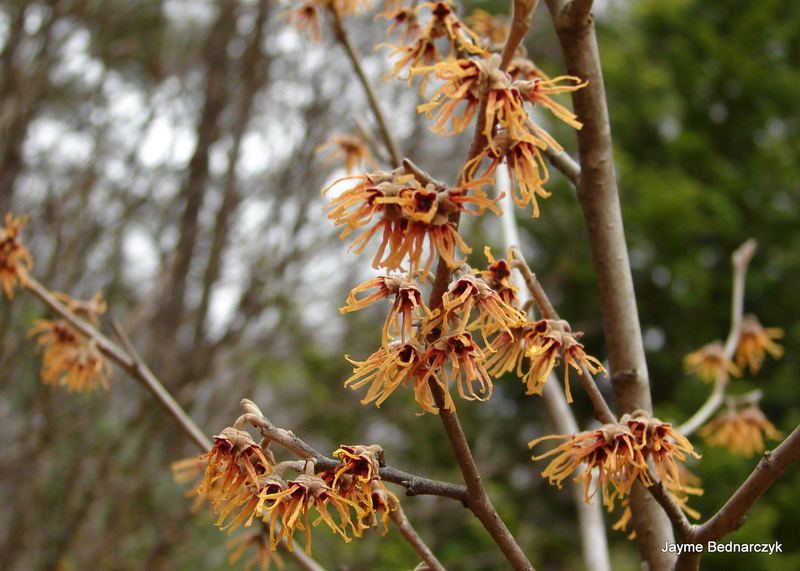 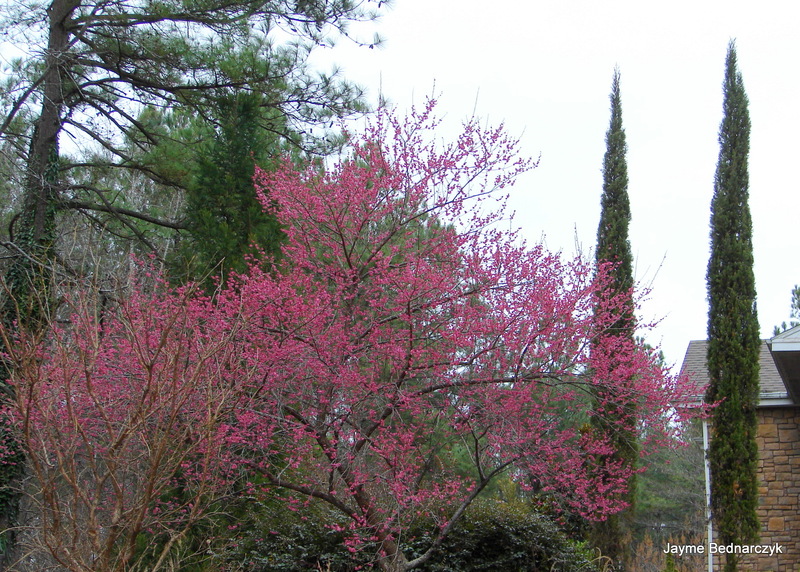 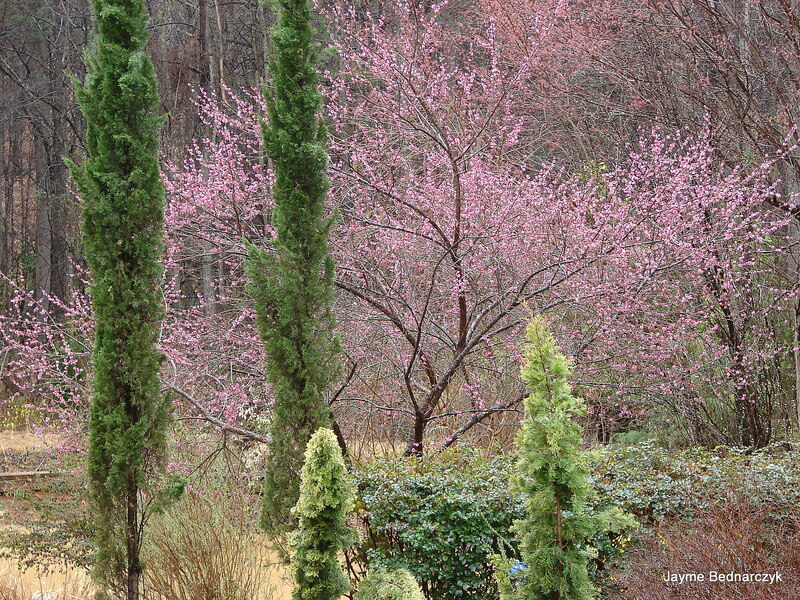 It’s a pleasant 50 degrees and overcast at Entwined Gardens – Zone 7b – Wake Forest, NC. 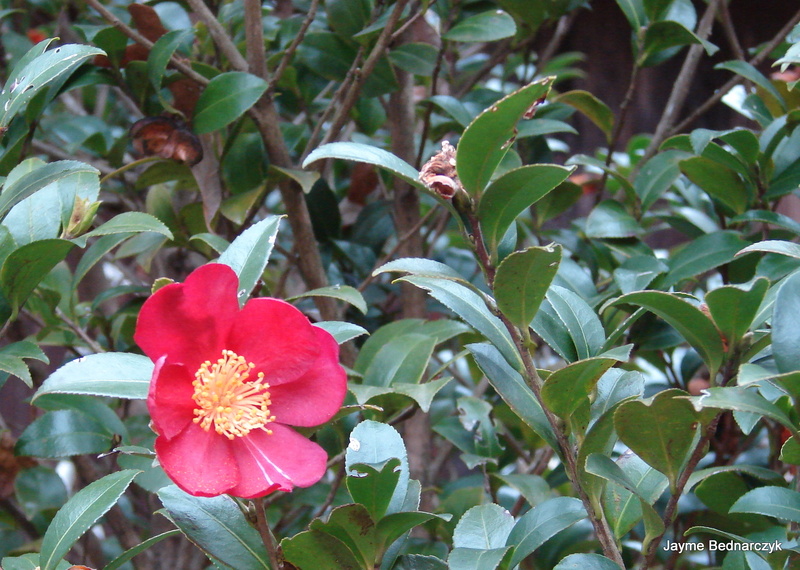 Camellia sasanqua ‘Yuletide’ which has been blooming for 3 months! 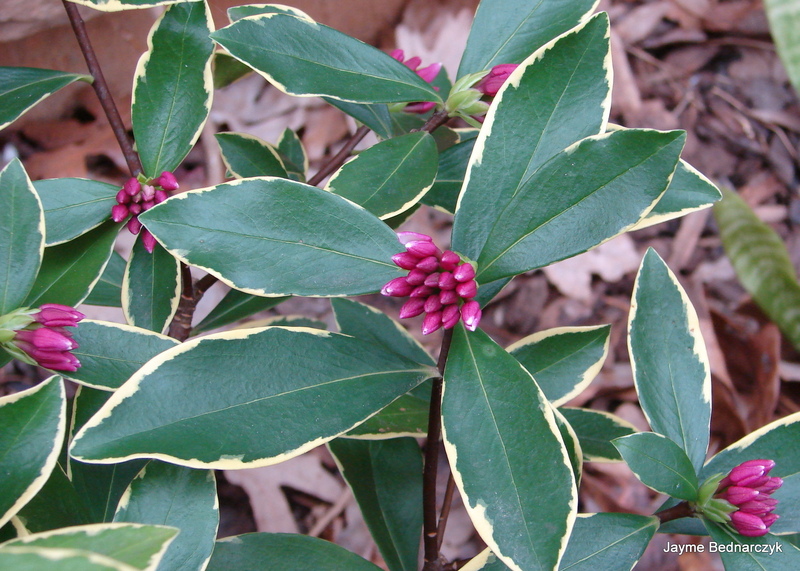 Daphne odora ‘Aureo-marginata’ – Has been showing color for six weeks… Oh the anticipation! 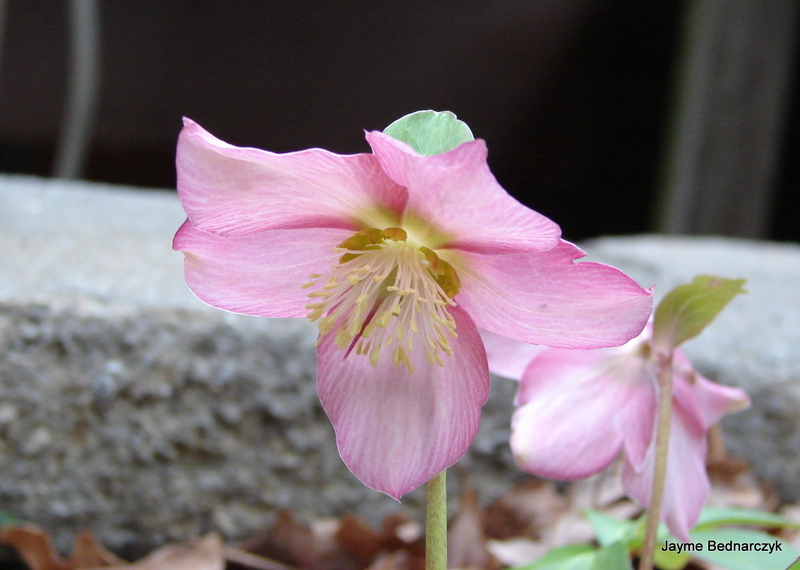 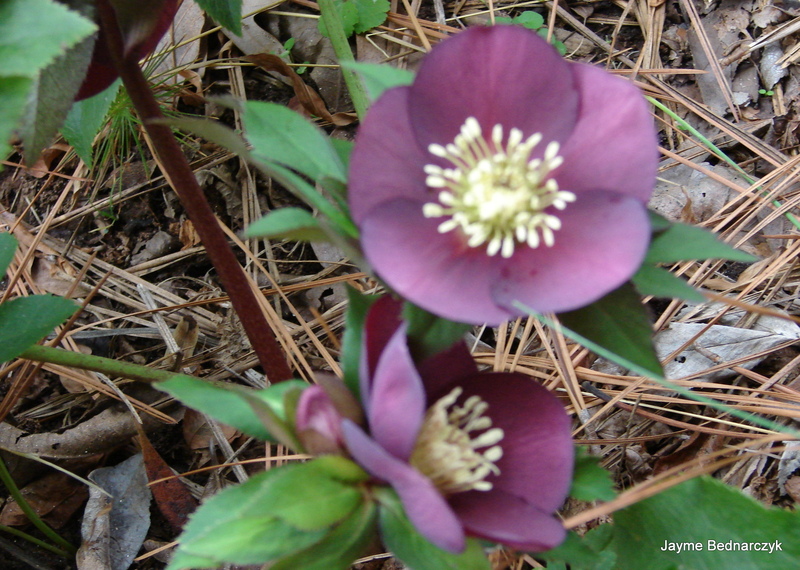 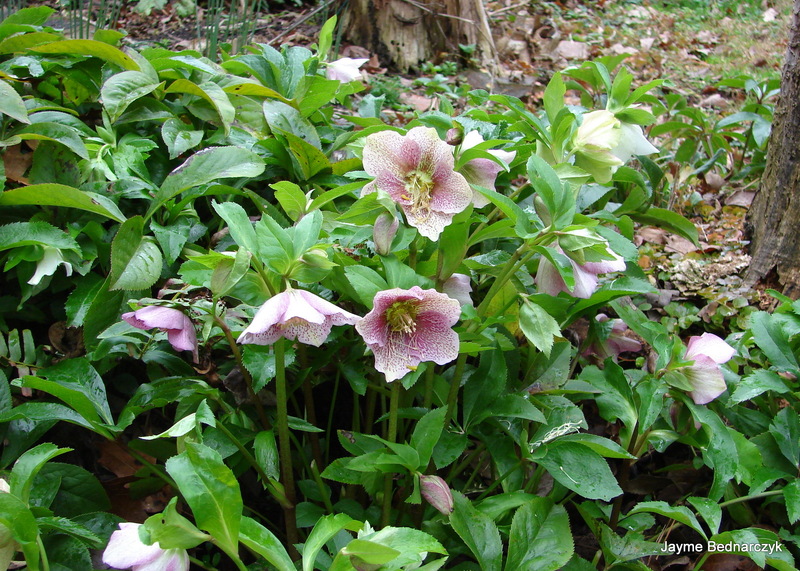 Hellebores – what’s not to like – reminder to cut back some leaves for a better show! 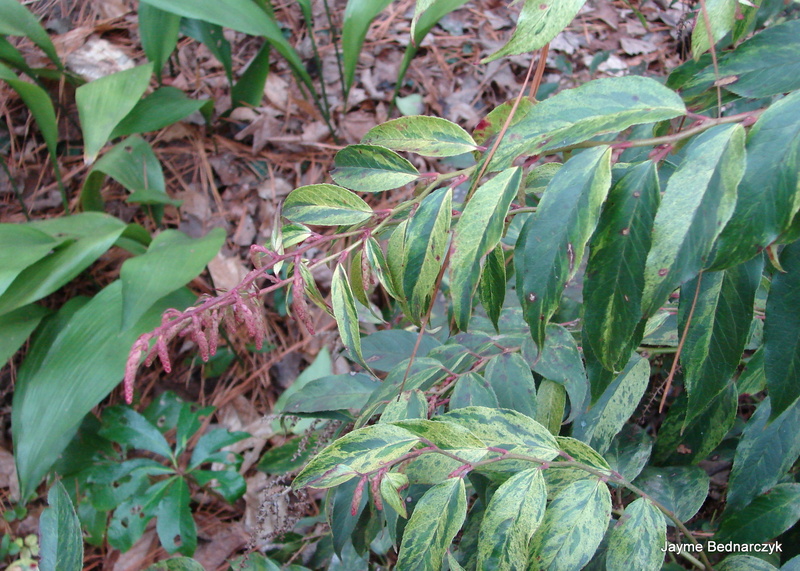 Leucothoe fontanesiana ‘Girard’s Rainbow” lights up the shade garden. 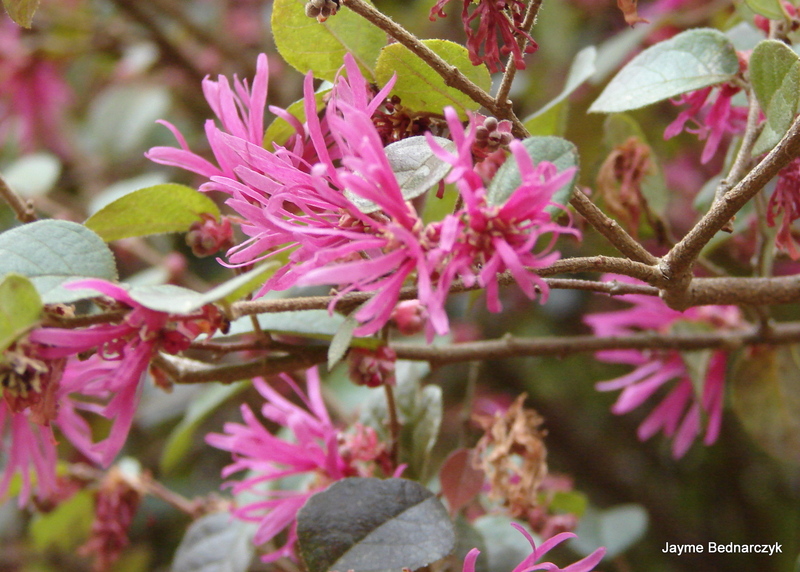 Technically not the bloom -but the pink bracts against the variegated foliage couldn’t resist! 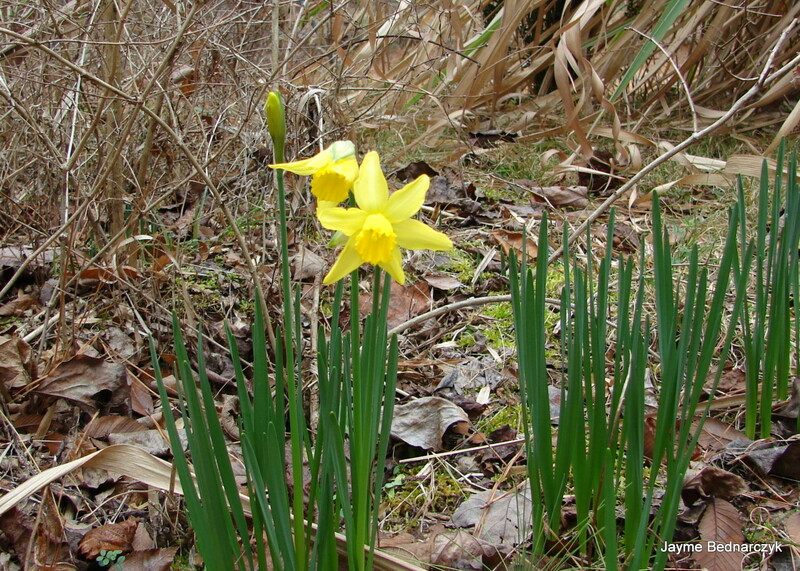 Interesting only blooming on the East side of the hedge, an esplosion of color! 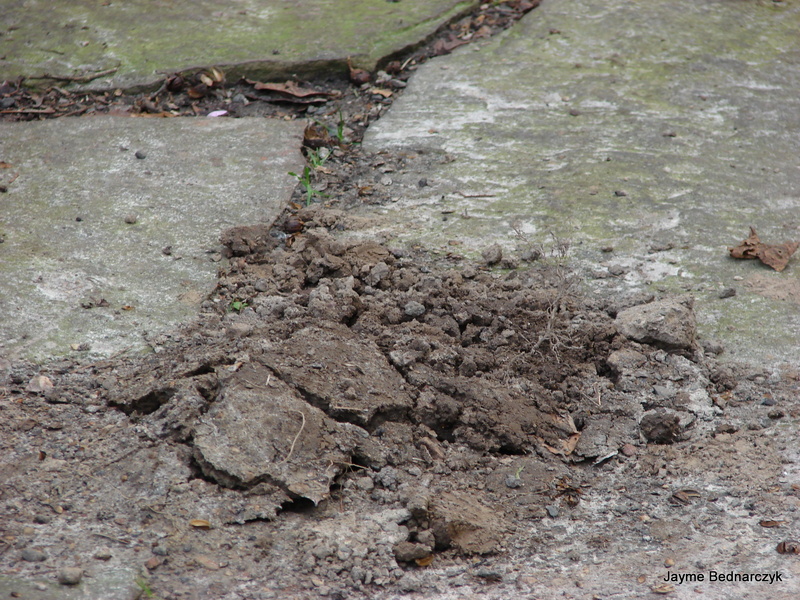 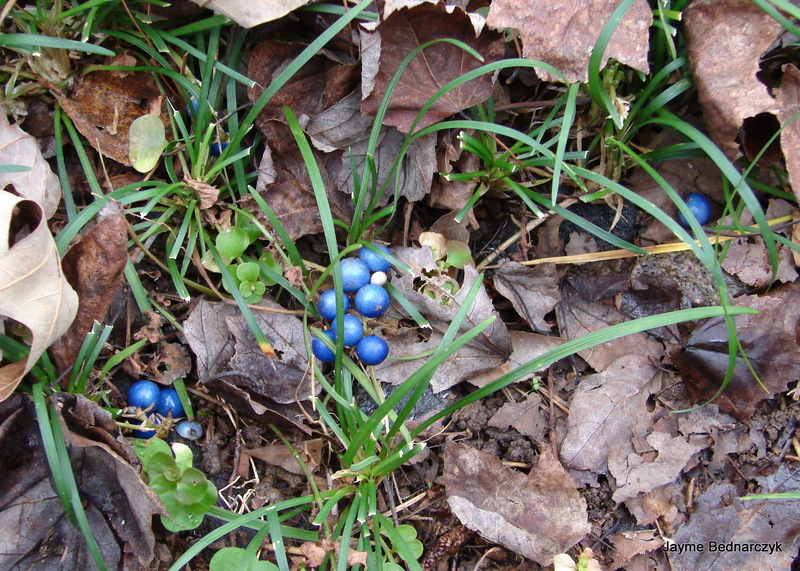 The blue seed baubles of seeds delight me… I collect and scatter them to enlarge the patch! 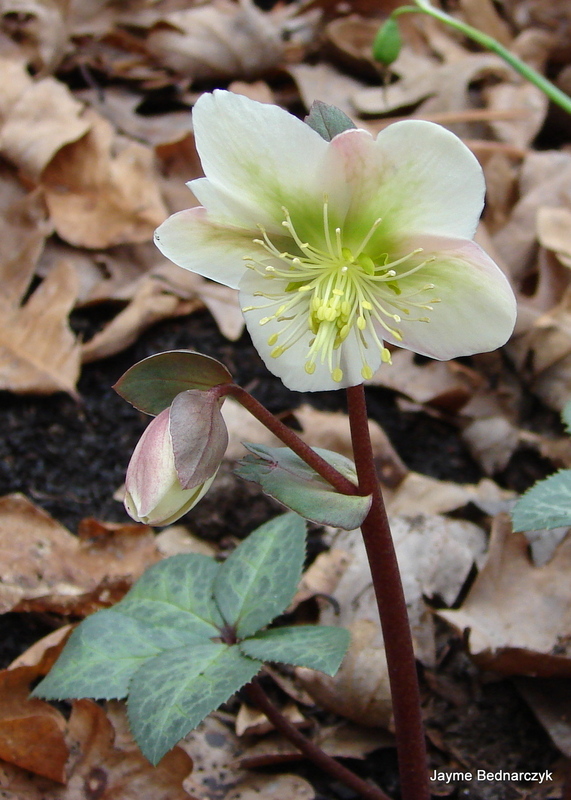 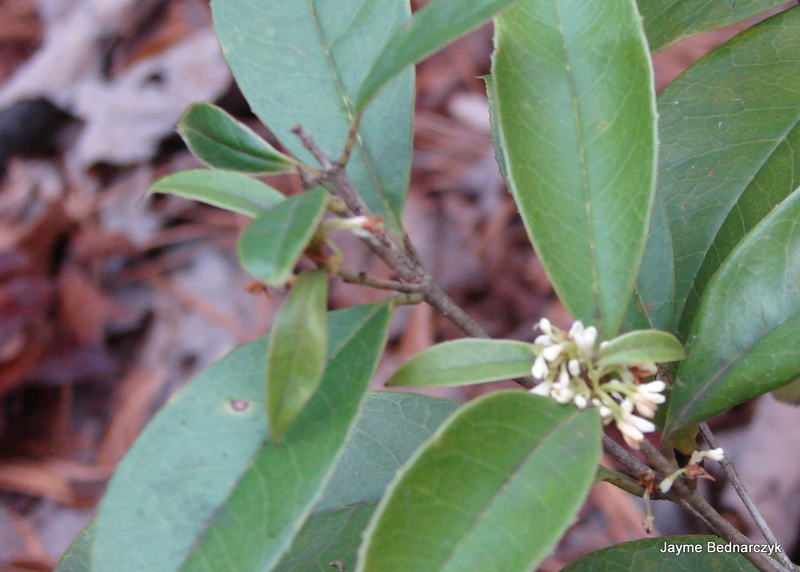 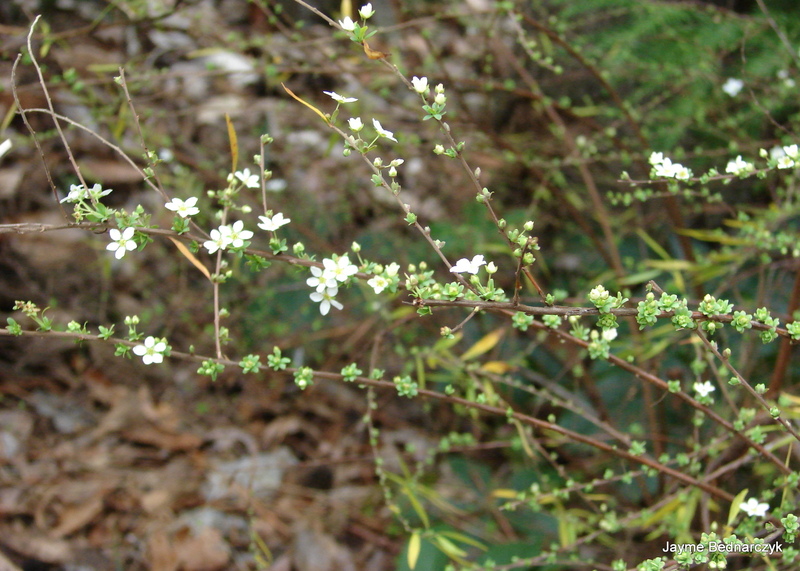 Such diminutive blooms permeate the Woodland Garden. 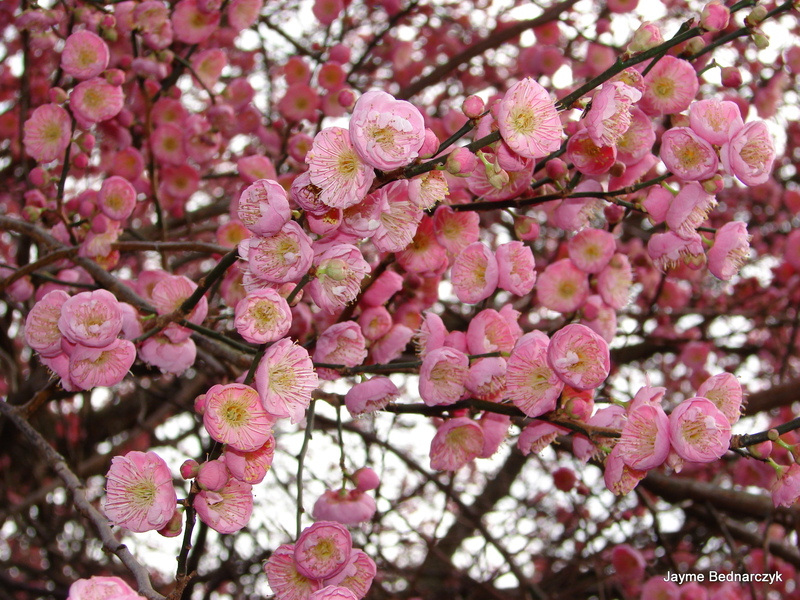 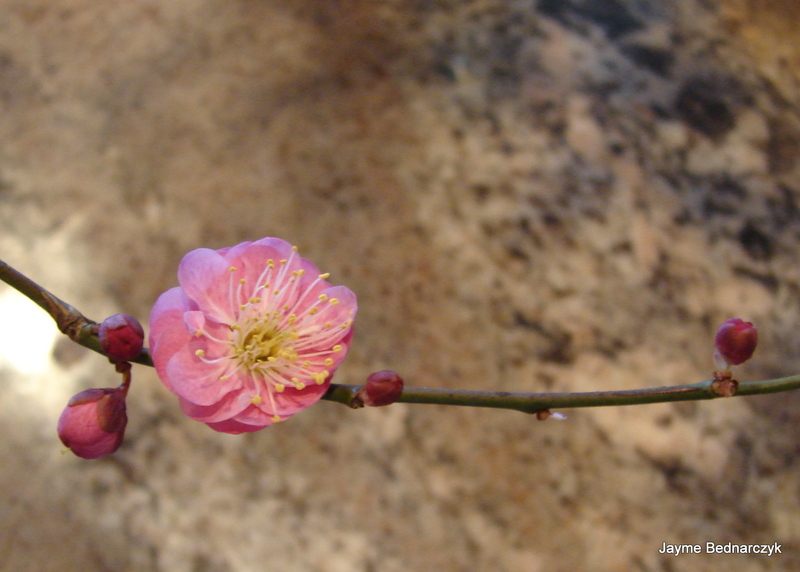 Prunus mume ‘Kobai’ – delicious scent with a hint of cinnamon. 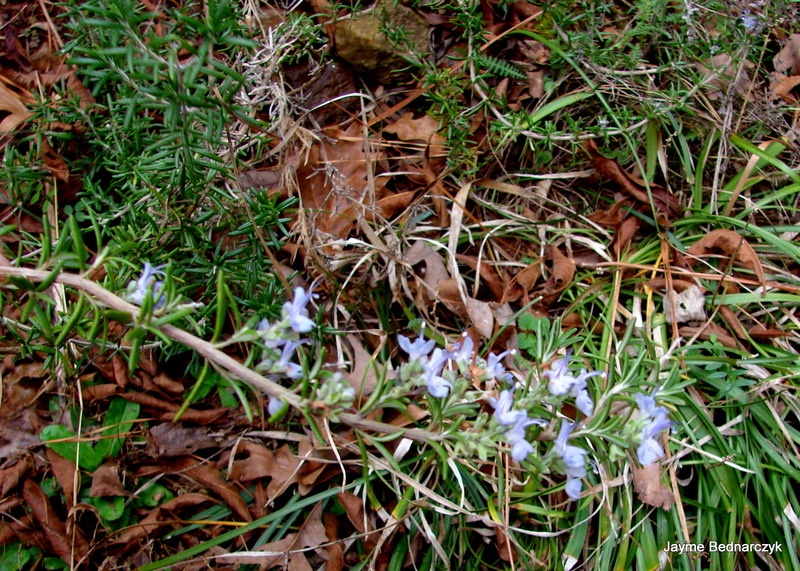 Rosmarinus officinalis ‘Prostratus’ delightfully scrambles over a wall. 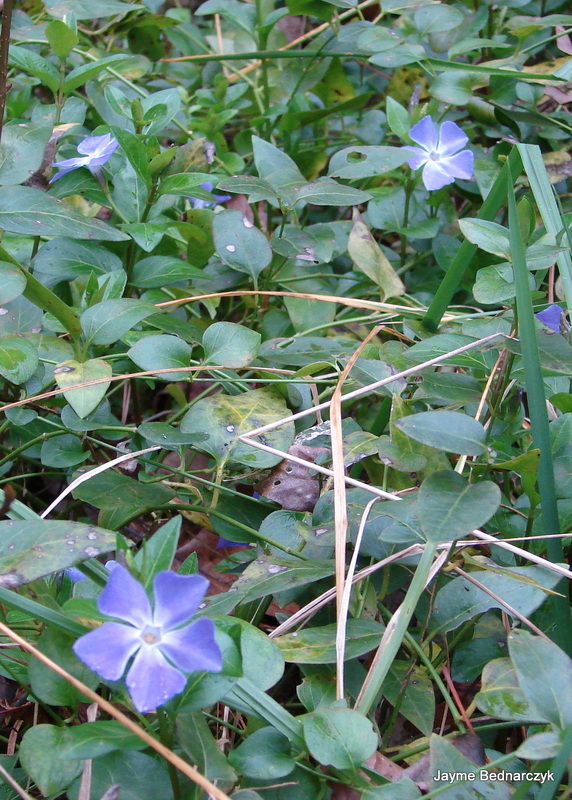 Vinca major – Periwinkle a ground cover I love to hate!